Video report by ITV News Correspondent Sejal Karia. Footballers who repeatedly head the ball could be increasing their chances of developing dementia, according to the findings of a new study. Researchers behind the study examined the brains of six retired footballers during post-mortem examinations. 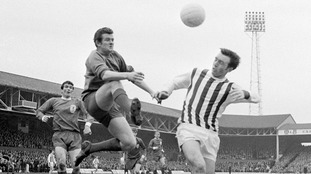 The footballers, who have not been identified, had developed dementia. Of the six former players, four were found to have chronic traumatic encephalopathy (CTE) - a degenerative disease - while all six had signs of Alzheimer's disease. CTE can cause dementia and like Alzheimer's, is characterised by a build-up of a certain type of protein in the brain. Professor Huw Morris of UCL Institute of Neurology says the results of the study show more research is urgently needed in the area. However he did caution that the risk for people who enjoy playing football in their spare time is likely to be "extremely low". Professor Morris said: "We do not yet know exactly what causes CTE in footballers or how significant the risk is. "Major head injuries in football are more commonly caused by player collisions rather than heading the ball. "The average footballer heads the ball thousands of times throughout their career, but this seldom causes noticeable neurological symptoms." He added: "Of course, any kind of physical activity will be associated with health risks and benefits and it is well-established that playing sports can significantly improve physical and mental health." 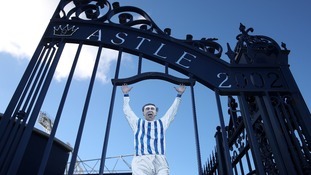 Former England and West Brom striker Jeff Astle died of a degenerative brain disease in 2002, aged 59. His daughter, Dawn Astle, said the recent findings are no surprise and expressed her frustration at the perceived lack of action from footballing authorities. She said: "The evidence is mounting. It is sad to read - I am not surprised, it doesn't shock me at all. "It's too late for dad. The research is so important for current players and for future players. That's why we need it. "I think that's what is so very frustrating - the fact that it's nearly 15 years since my dad died. "This isn't an arthritis or a bruised leg or a broken leg. People are dying. This is killing people." The ex-players involved in the study all began playing football and heading the ball when they were children or teenagers and continued for an average of 26 years. The scientists acknowledged the size of the study was small, and appealed to people to remain open-minded when it comes to presenting themselves for research. Lead author of the UCL Queen Square Brain Bank study, Helen Ling, said the research is important, but added more is needed for definitive results. She said: "Previous studies have shown that the risk of Alzheimer's disease is increased in people with previous head injuries. "On the other hand, the risk of dementia is also increased with age and we don't know if these footballers would have developed Alzheimer's disease anyway if they hadn't played football." She added that the most pressing research question is to find out if dementia is more common in footballers than in the normal population. What do the Football Association have to say? We welcome this research and the new study is the result of a very dedicated group of researchers working hard to develop further understanding in this area. The Football Association takes the concerns around concussion and head injuries extremely seriously. In 2015 we established an expert concussion panel which led to the publication of the FA concussion guidelines. These guidelines were designed to help recognise and manage concussion - from the time of injury through to a player's safe return to football. The expert panel further agreed that research is particularly required into the issue of whether degenerative brain disease is more common in ex-footballers. The FA is determined to support this research and is also committed to ensuring that any research process is independent, robust and thorough, so that when the results emerge, everyone in the game can be confident in its findings. To this end, we have recently agreed with the PFA (Professional Footballers' Association) to jointly fund the research project as we believe that a collaborative approach will strengthen the credibility and resource available to the project.